Kangana and Rajkummar starrer 'Mental Hai Kya' to Release on 29 March, 2019! 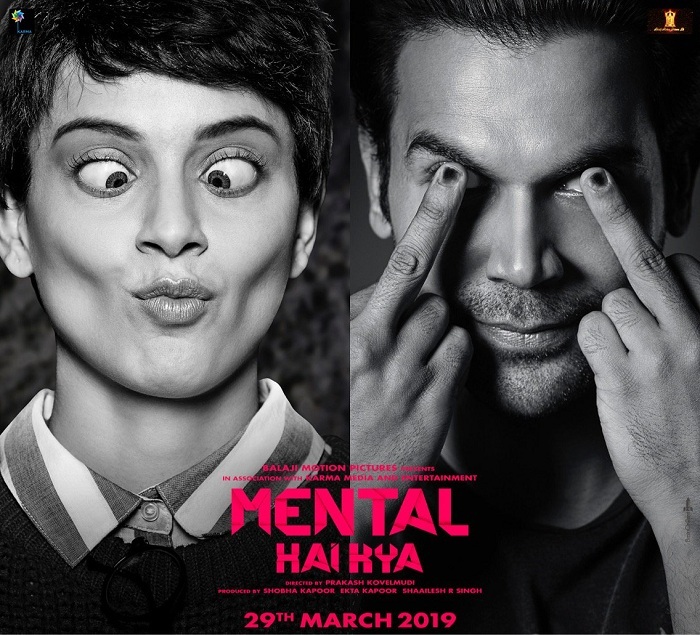 Kangana Ranaut and Rajkummar Rao starrer film 'Mental Hai Kya' is all set to release on 29th March, 2019. Film is directed by Prakash Kovelamudi. Film is produced by Balaji Motion Pictures and Karma Media & Entertainment. Makers have release a movie poster mentioning the release date. Both Kangana and Rajkummar are considered as talented actors from BTown. It will be great to see both these actors together in big screen. Definitely there will be magic in each frame. On work front Kangana is gearing up for next magnum opus Manikarnika. On other hand Rajkummar is enjoying the big box office success of Stree. He was due for a big one for long time and Stree completed his desire.